We are a friendly, well trained team who love hairdressing. 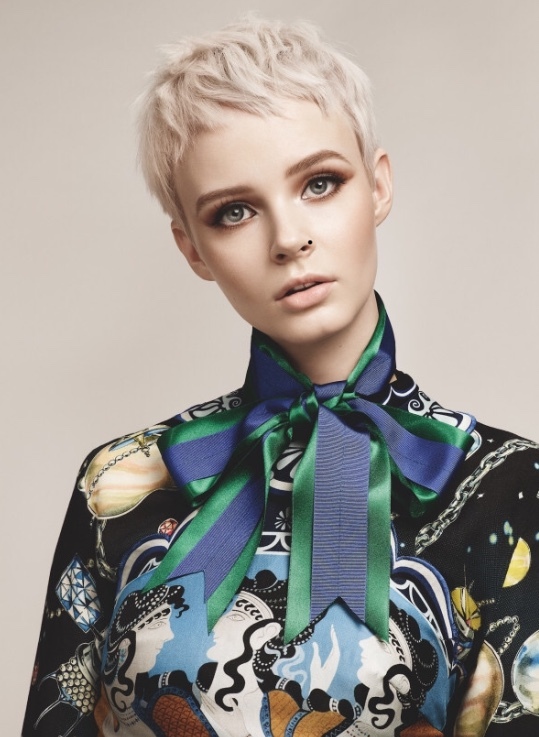 We want you to enjoy your experience at Toni & Guy Ascot, and leave our salon loving your hair! Someone who knows my hair! Finally a hairdresser who knows what to do with my hair and make the most of it. Thanks to Hayley. Things are improving regards atmosphere and I hope the turnover of staff will calm down and I get to sick with one hairdresser. Hayley cut my hair fantastically. I showed her a few photos of the kind of a hair style I'd like, she offered some very good advice and the outcome is fantastic! No longer feeling invisible, my hair makes me happy now! We are so pleased you are happy, and you would recommend us! We look forward to seeing you again soon. Toni and Guy Ascot Team. Staff are very friendly and helpful. Always a relaxing experience with an added bonus that one feels spoilt with wonderful service. We are so pleased you had a relaxing experience with a wonderful service. We cant wait to see you again soon. We are so pleased you think the WOW factor has returned! Its good to be back! We cant wait to see you in the salon on your next visit, see you soon. Always happy with my hair after a cut. Love the banter and relaxing chairs too. A bit of me time. Thanks. We are so happy you are happy, and love having you in the salon. We look forward to seeing you on your next visit. Confidence that I received a good cut or wether the treatment given was in fact the right one. Hair feels less healthy than before the visit. The stylist wasn’t sure how to use the products, couldn’t work the till at the end etc. He did constantly apologise for the state of the salon but that’s not helpful when you are sitting amongst dirty pots and a floor covered in hair. I would like to apologise for the experience you had with us at Toni and Guy Ascot. The salon is now under Head Office management, and it was only the next day, I went in to see the points you made were quite evident to see. We have now redecorated and cleaned up the salon, and will be relaunching the salon this Thursday evening. I will be there myself, along with the General Manager of Toni and Guy, if you would like to pop down and see us. I know you have been in contact with our customer service manager Perry, and he is awaiting your response, as we would like the opportunity to rectify the disappointing experience you had with us at Ascot, if you would give us the chance. We take everything you have said on board, and hopefully have dealt with the matters you have raised accordingly. Danielle Salon Support Manager and the Toni and Guy Ascot Team. My stylist was a gentleman called Mr MacDonald. I am absolutely delighted with my new style,, feel positively rejuvenated. Thank you so much. We are so pleased to hear you are delighted with your new style, and look forward to your return. Thank you for taking the time to leave a review, we are pleased you think we are excellent, we think are clients are too! We are glad you had a great haircut with us, and we look forward to seeing you with vouchers on your next visit. Wonderful cut by Haley. Can just blast with a hairdryer or rub with a towel. Looking good at 70. Thanks. We are so pleased you are happy with your haircut, we will pass your comments onto Hayley for you, and look forward to seeing you again soon. receptionist was on her phone and looking bored when i walked into the salon for my appointment, toilet had no loo roll and was unclean, salon was not clean and staff looked bored, and demotivated, management need to motivate staff if there is any. I have followed Molly from Wokingham to Ascot as she understand my needs and colours. It’s so nice to relax and know each time you walk out the salon you will be happy! Great service and atmosphere I look forward to getting my hair done! We are so pleased you walk out the salon happy, and that you have followed Molly. We love forward to seeing you again soon. Thank you Anne, for your review. Thank you Christina for your 5 star review. We hope to see you back in the salon soon. First time back at this salon after a long absence. Hi Angela, it was lovely to see you back in the salon and hope to see you again soon. We are glad we got you back to being you, we look forward to seeing you again soon. Danielle and her team in Ascot make the whole experience enjoyable. Very warm and welcoming and a haircut to die for. Thank you Angie for such a lovely review, we will pass your kind comments onto the team. I waited a while before writing this review, just to give the haircut a chance to “fall” into place with regrowth. I am sad to say that it was simply the worst “hair” experience of my life. I booked an appointment for a cut for my son. They offered me an appointment with someone who was very clearly a young inexperienced trainee. She had no guidance & no experience. She ruined my sons hair and it refuses to grow out properly because it was cut so badly. It was no less than shocking. In fact, everyone commented on what a bad haircut it was. There was no personal service. No care. Nothing. I am appalled that such a place exists on ascot high street. I am disgusted. We are sorry to hear of your experience. It is not our intention at all for clients to feel like this. The salon manager has tried calling on a few occasions, and have left a message for you to contact us, so we can investigate the matter further. We assure you we take on board all client feedback, and again offer our apologies, that you felt like this on this instance. Booked in at short notice but 100% attentive and lively hair cut and at a reasonable price! Thank you for leaving Toni&Guy Ascot a 5 star review, we are so pleased you enjoyed your experience with us and we hope to see you again soon.